Last week we played with our Alphabet Garden and a commenter asked how I could make it for children who loved cars and trucks. 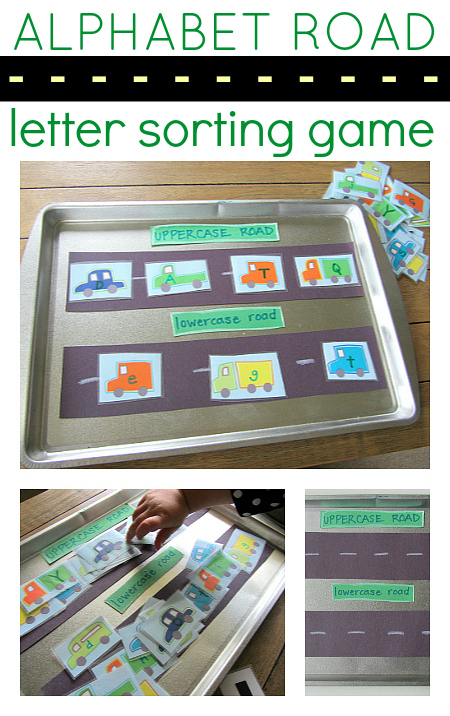 This is the letter sorting game that I came up with for cars and trucks. 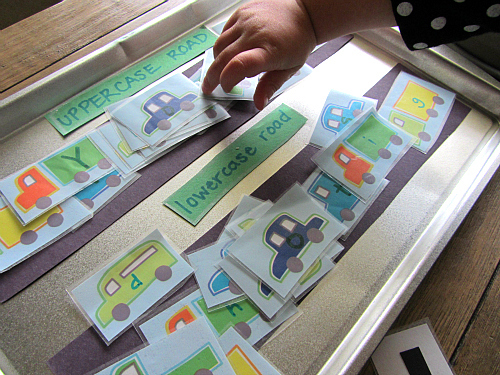 You could do it as a magnet activity like we did or put it all on a sheet of contact paper like our alphabet garden, whatever best fits your child. 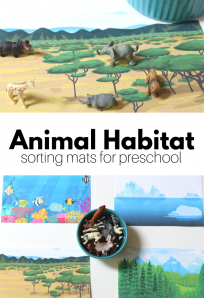 This activity is part of our Alphabet for Starters series that is focused on making playing with letters fun and dynamic. This can be adapted to any level. 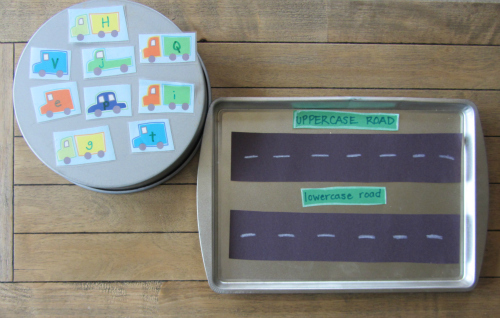 For children just beginning to notice letters they can simply put the letters on the road. Don’t worry about sorting into cases. 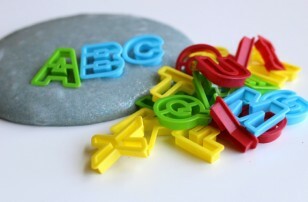 For older children use the letters to spell. 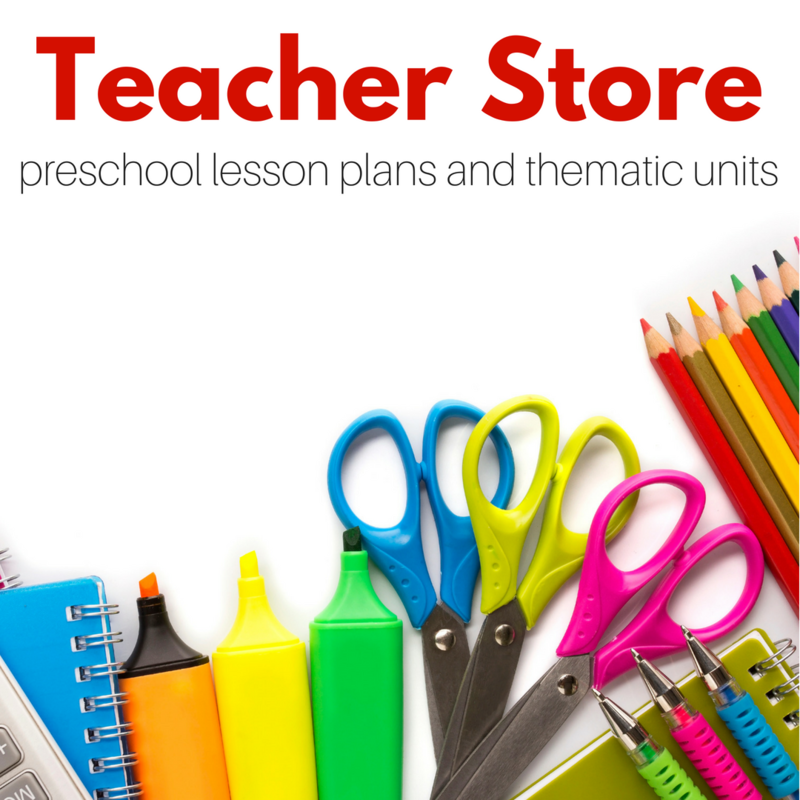 Write words with a missing letter and have your older child fill in the blank. 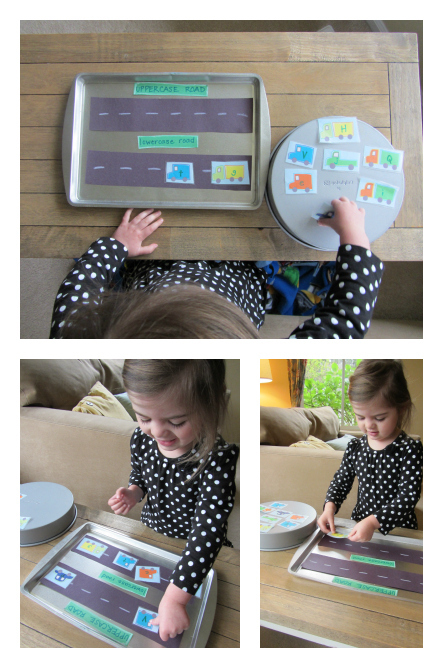 Here is what we did for my daughter who is familiar with both upper and lowercase letters and enjoys sorting them. Gather your materials. 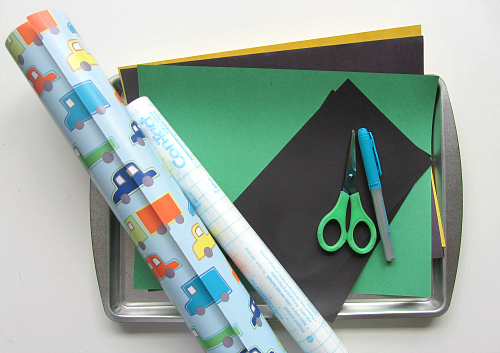 You will need some black construction paper, green construction paper ( scraps would work great), clear contact paper , pictures of cars and trucks ( mine come from wrapping paper) , self adhesive magnetic sheets, a white crayon, scissors, a marker and a cookie sheet from the dollar store. Start by making your cars and trucks. Cut the cars out. Add the letters. I didn’t do every letter in both upper and lowercase. I chose letters that my daughter has trouble with mixed in with some sure fire bets so she would be challenged but confident in her ability. 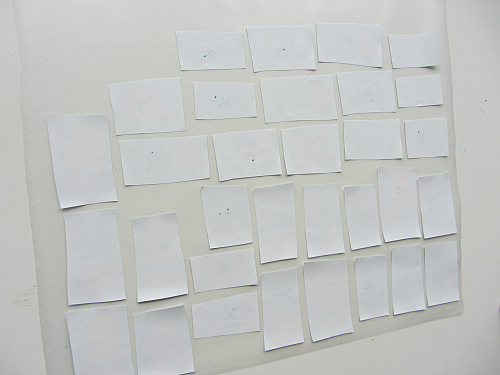 Lay a large sheet of contact paper down sticky side up and lay the cars face down. Place another sheet on top to sandwich the cars inside. Or laminate if you have access to a laminator. I am very jealous if you do. Nothing gets a teacher ( even a former teacher) more excited than laminating something. 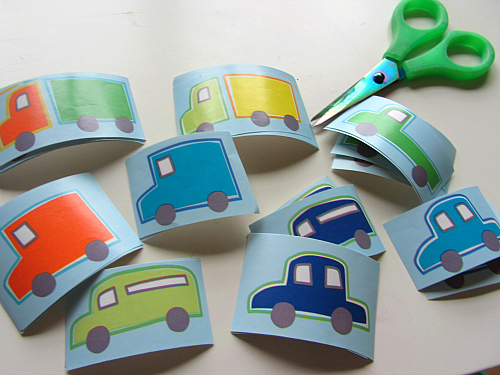 Cut into individual cars and trucks. Add the magnets. 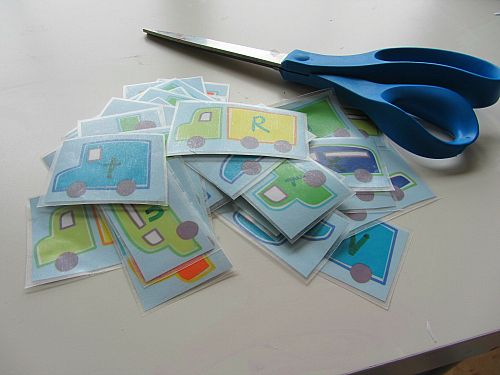 Now if you have a child who is well past the putting things in their mouth stage cut little squares and stick them on the back of the cars. 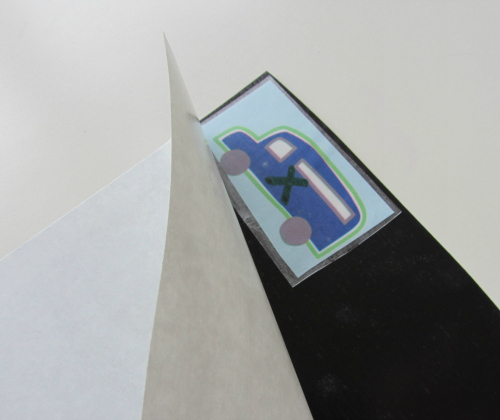 If you want you could also lay the whole laminated car on the sticky back magnet sheet and then cut . This will make it harder for the to peel any small piece off. 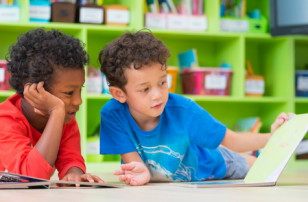 Please always remember that all our activities are designed for children to do with a parent within arms reach and only if they are ready for the activity. 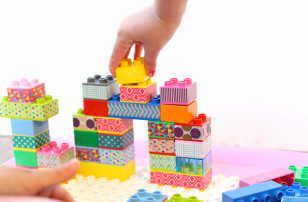 You don’t have to make the pieces magnetic for the kids to have fun, it’s just a bonus. 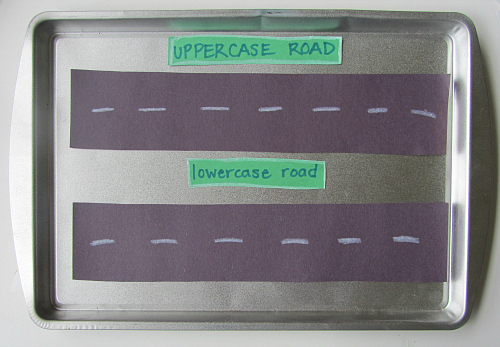 Make a simple road and some signs saying UPPERCASE ROAD and lowercase road . 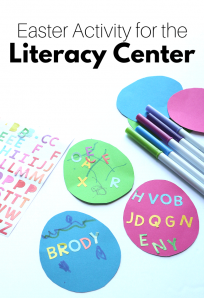 These give visual cues even for kids that aren’t reading independently . You can add magnets to these if you want too. 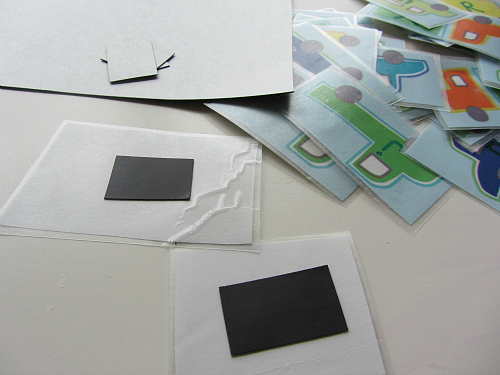 Painter’s tape is a great choice if you are skipping the magnets but want these pieces to stay in place temporarily. Ready to play! This is what it would look like if I handed it to my 6 year old. For my almost 3 year old it looked like this. She ended up sorting all the letters but I gave them to her in bite size pieces so she wasn’t overwhelmed. 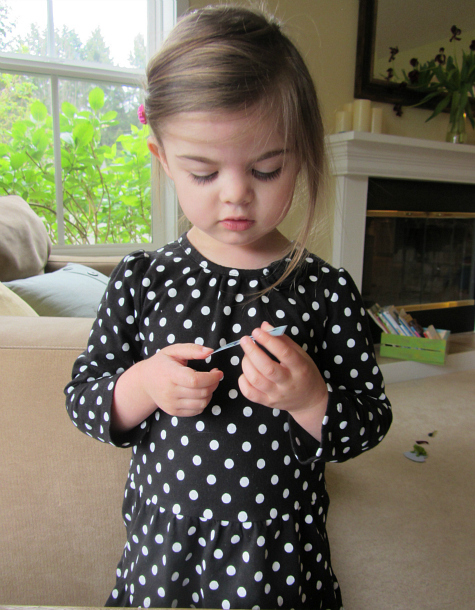 She loves cars and trucks right now ( well really bulldozers are the best) so she was all into it. After the first few were put on she asked me for more. Remember to label what your child is doing and to sit back. If they ask for help be ready to support but don’t take over. The trickiest part for her were letters like w and o. She thought for a long time before placing them down. She just kept piling them on. And was insistent that she show it off at the end. I was impressed with how many magnets piled together still stayed in place. Alphabeep! 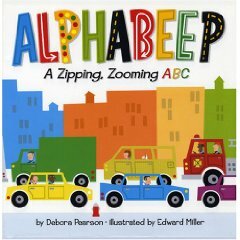 : A Zipping, Zooming ABC by Debora Pearson is a great book for older toddlers and preschoolers. 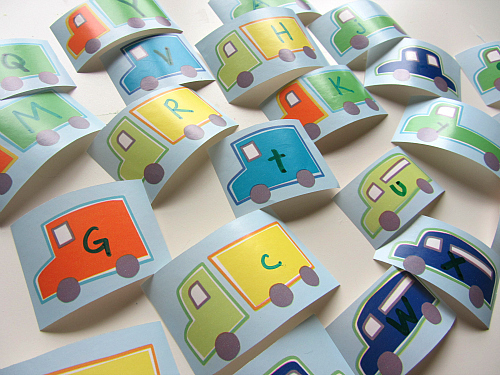 The transportation themed book uses rhymes and colorful illustrations to go from A to Z. 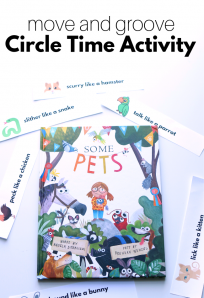 The text was a bit long for my young toddler but I shortened it and he was able to enjoy the book , children 2 and up will love it just the way it is! This is on my must buy list. Edited for 2013 : My daughter also loved this book and had me read it twice at the library which is a glowing review. This book review includes an affiliate link. This is so adorable. 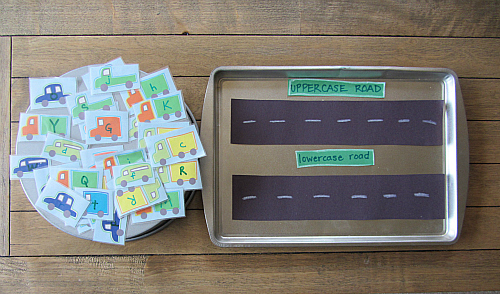 I’m going to make this for my twin boys who love cars & still help with the lowercase letters. Thanks for sharing. My daughter is going to LOVE this! Adding this to our to do list this week. This is just so adorable and creative. 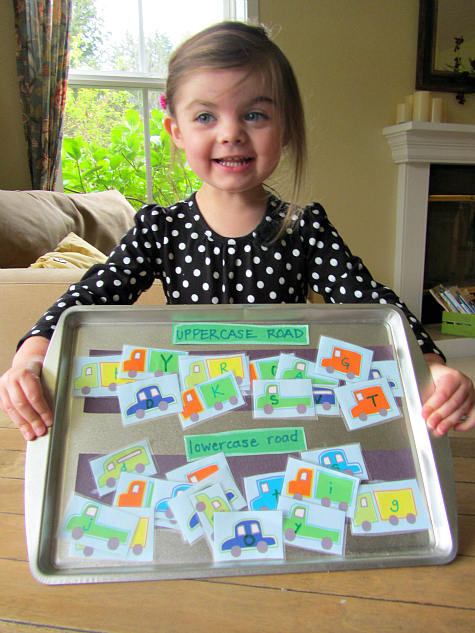 What a great way to help learn upper and lower case letters. Allison, I love this idea! After the initial work, it will last a long time. Good for us clinicians:) And, I do agree, as a former teacher – I LOVE my laminator! Thanks for sharing. Will do the same.